Crab rice is such an easy rice cooker recipe to make. The preparation time is very short if you have some ready made fish stock to use. To be quite honest, making the dashi is the only time consuming part. The following video shows how it is made. Ratio of ingredients is as follows. For every 1 liter of water you need 10 grams of Kelp and 20 grams of Bonito flakes. Even if you have to make the dashi from scratch, the preparation time for this dish should be about 15 minutes. The video above gives you a good idea of how to make it. Drain excess liquid from tinned crab. Wash rice and drain in colander. Add rice back to rice cooker cooking bowl. 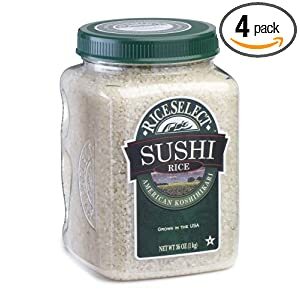 Add dashi up to above level 1 marking for white rice. About 1 1/4 is good. Add crab meat and soy sauce to cooking bowl. This is Zojirushi's latest model that was released in March 2011. It features their new Umami functionality. 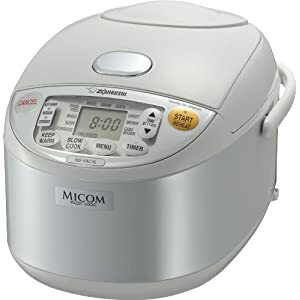 This is the only non-Induction Heating rice cooker that has a setting to cook GABA brown rice. In addition, the NS-YAC10 also has a special slow cooker option. Discusses fast home cooking for busy people. Most of the recipes can be prepared in under 30 minutes. How Big Is A Rice Cooker Cup?